AASTHA MANAV SEVA SANSTHAN is located in Patna Bihar . AASTHA MANAV SEVA SANSTHAN is registered as a Society at Patna of state Bihar with Ngo unique registration ID 'BR/2014/0076873' . 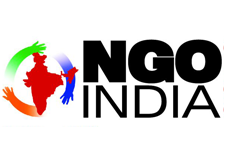 The NGO registration is done by Registrar of Societies with registration number 1704 on the date of 26-10-2010, Its parent ORganaisation is PaulFoundation. The Chairman of AASTHA MANAV SEVA SANSTHAN is Rakesh Kumar and Chief functionary officer is Amresh Kumar. Dress distribution to children and working on farmer litracy.